The deal, valued at more than A$ 6 billion will make the Federal Government the sole shareholder of the company. 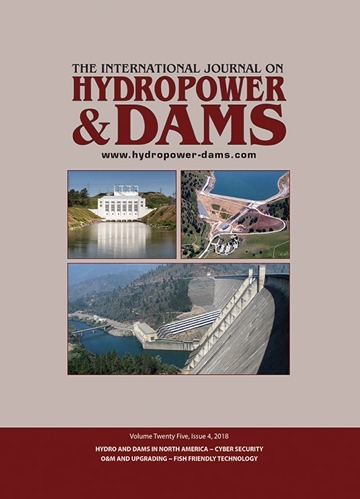 The Federal Government of Australia has announced that it will acquire the stakes of the state Governments of New South Wales and Victoria in Snowy Hydro, the owner and operator of more than 5500 MW of generation capacity, including most notably the 4100 MW Snowy Mountains hydropower complex, in a deal valued at more than A$ 6 billion (US$ 4.65 billion). The transaction will add the 58 per cent stake currently owned by the Government of New South Wales and the 29 per cent stake owned by the Government of Victoria to the Federal Government’s existing 13 per cent stake, making the Federal Government the sole shareholder of the company. 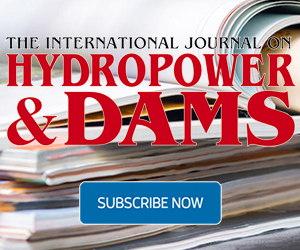 The acquisition is expected to facilitate a final investment decision on the expansion of the hydropower complex, as the Federal Government will not have to negotiate with minor shareholders over the planned addition of up to 2000 MW of pumped-storage capacity. The Government announced plans in March 2017 to invest up to A$ 2 billion (US$ 1.5 billion) to increase the power generation capacity of the Snowy Mountains hydroelectric scheme in New South Wales, to avoid forecast gas and electricity supply shortages across the country’s densely populated southeast and southern states. In August 2017, it backed an accelerated feasibility study of the so-called Snowy 2.0 project, which was approved by the company’s independent board of directors this January. The study concluded that the ambitious expansion is both technically and financially feasible, based on an independent cost estimate of between A$ 3.8-4.5 billion (US$ 2.95-3.5 billion), and confirming Snowy 2.0’s scale, strategic location and longevity as by far the cheapest and best option to decarbonize. Economic analysis commissioned for the feasibility study and conducted by Marsden Jacobs Associates showed that if Snowy 2.0 is not built, batteries and gas peaking plants would need to be installed, at more than double the cost. The project would provide around 350 000 MWh of energy storage, and according to the study, would ensure system security and reliability by providing rapid response back-up, put downward pressure on future energy prices and enable a low emissions future at least cost by underpinning the stability of the National Electricity Market (NEM), as more and more intermittent renewables such as wind and solar enter the market and baseload coal generation is decommissioned. Snowy 2.0 will involve the construction of about 27 km of concrete lined underground tunnels to link the two existing reservoirs of Tantangara and Talbingo with a new underground power station to be built in between. Intake and outlet structures will be built at both the Tantangara and Talbingo reservoirs. The power station will consist of six reversible Francis pump turbine and motor-generator units, of which three will be synchronous (fixed) speed and three will be variable speed. The units will be arranged in alternating order and in pairs, with each pair sharing a pressure shaft and penstock. The first power generated from Snowy 2.0 is expected in 2024. The complex currently comprises nine hydropower stations, including pumped storage at the Tumut 3 power station and the Jindabyne pumping station, and 16 large dams, which combined produce around 32 per cent of all renewable energy available to Australia’s eastern mainland grid. The deal is subject to the Victorian parliament confirming the sale and the Australian parliament passing an appropriation bill, and the acquisition is expected to be included in the 2018 Federal Budget this May, with the government issuing Commonwealth bonds to buy the stakes. The Federal Government said that the agreement consolidates on its substantive energy sector reforms to see that businesses and households in the country get access to reliable and affordable energy. In addition, the state governments will receive significant funding, which they are required to spend on infrastructure projects, though the Federal Government will not place any conditions on the specific projects funded. Including the company’s debt as of end-2017, the Governments of New South Wales and Victoria will receive A$ 4.15 billion (US$ 3.22 billion) and A$ 2.08 billion (US$ 1.6 billion), respectively for their stakes based on an agreed market value of Snowy Hydro of A$ 7.8 billion (US$ 6.1 billion). The New South Wales Government has promised to use the proceeds to finance regional and rural projects, rather than in the state’s urban centres, which include Sydney. Bids are sought by 15 May 2018 for a turnkey refurbishment contract with the project aiming to extend the plant’s lifetime by at least 30 years, and increase capacity of the four turbines. The Government of South Australia has awarded A$ 8.7 million (US$ 6.8 million) in grants to four companies planning to build pumped-storage hydropower projects.